Another Michelle Joyce DVD, but not one of her best in my opinion. It starts with a beginners' section covering the basic moves, with drills but no combinations. Then it jumps into combinations, which build on the beginners' moves but in a more complex way than you could handle if you'd really picked up the DVD as a complete novice. 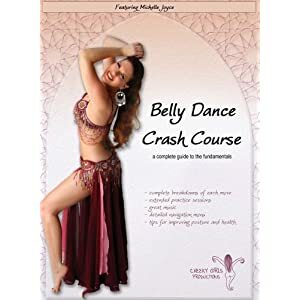 It's not a complete class as there's no warm-up - and someone who buys this as a "crash course" might assume they don't need one, which is not a good thing. Cory Zamora: Belly Dancing for Seniors ?